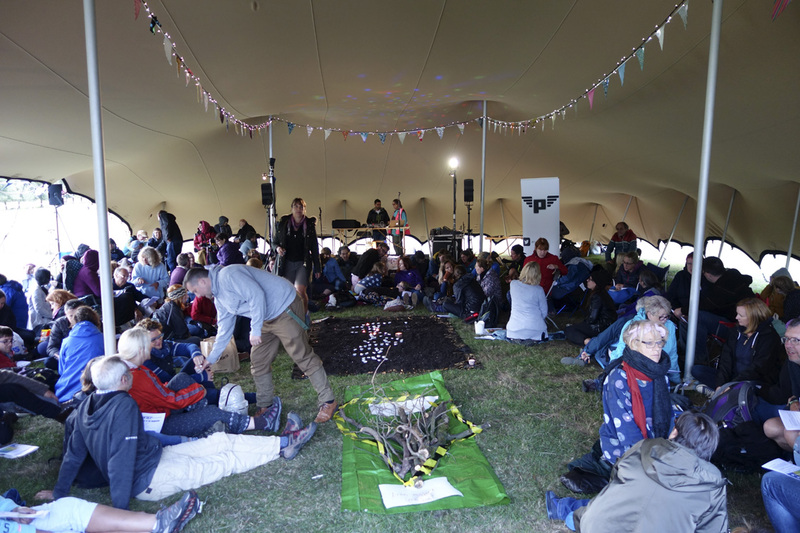 Greenbelt requested that Grace do a service at the festival at very short notice. Most Grace people were already away on summer holidays, and only a few were going to Greenbelt. So we recruited some Proost friends who would be there, and connected it to the promotion of the Future present book at the festival. Rectangle of soil on tarpaulin in centre. Objects concealed in it to be taken out in the first section. Steve Leach plays soundtrack of child speaking a version of the Genesis 1 creation story. James Fox Robinson, dressed as a steampunk explorer, took objects out of the soil which related to the creation story. it is not only creation but creativity that awes us. It is a wondrous, fearsome thing that you share your power to create. May we dance, drift and dream. we shrink from your power yet we claim it. or darkness descend upon a heart. as you breathed life into dust. We wrote the word 'imagine' in nightlights on the soil and tried to light them - unfortunately the cold wind kept blowing them out! So we continued the futile lighting until it became a part of the 'grief' section following. Andy Freeman made a 'tree' from sticks on an adjacent tarpaulin. Believe me, unless a grain of wheat falls to the ground and dies, it will remain only a single seed. But if it dies, it will produce many seeds. Sometimes dreams turn to nothing or we get stuck as we face difficulty. But grief can be the trigger for innovation. Dissatisfaction can create a longing and passion for a better world. What are you grieving about? People were asked to come forward and write in the soil. James scattered glass beads representing tears onto the soil. The Kingdom of God is innovation on a cosmic scale. Innovators (prophets, dreamers) join God (or aspire to) by catching his dissatisfaction with the world as is, dreaming of a future and embodying it as 'future present'. Innovation happens when God's future begins to re-form the present. And we get to join in! 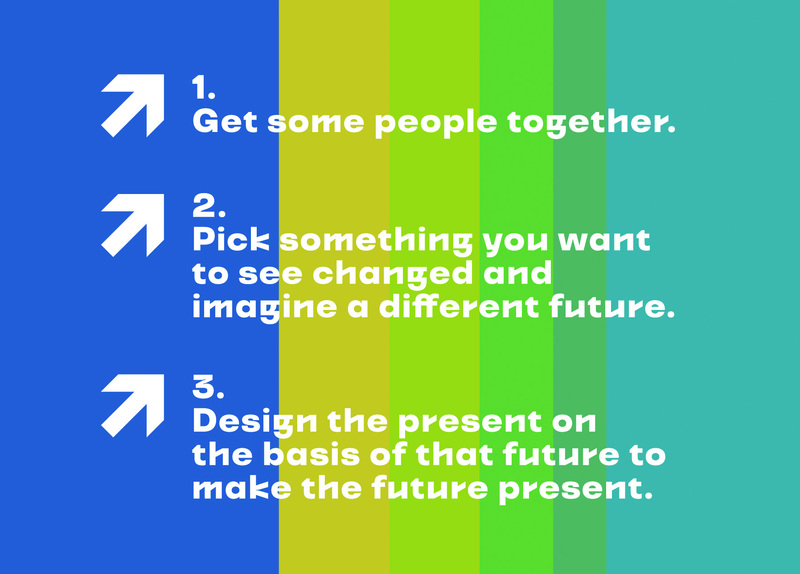 Take a '3 questions' postcard and discuss your responses with the people next to you. Plant seeds in the soil to represent your dreams of a better world. 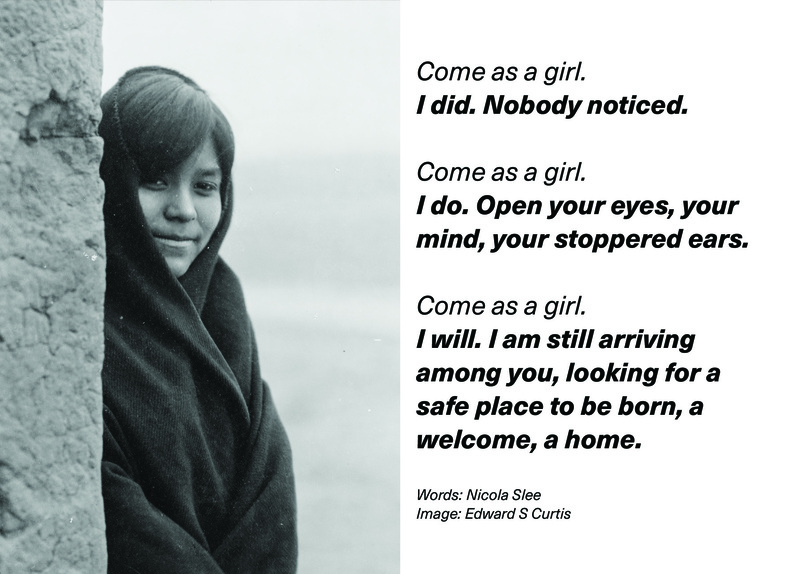 Take a 'God as a girl' postcard and meditate on the words and image. Inspired by Viv Albertine - who wrote that, when stuck in life, sometimes she needed to 'say yes to nothing' and step into the 'void' - and always found looking back that it had been the right thing to do. Each one of us – in bountiful measure. You long to hold our hand and create with us. As we pull silver tears, lions, tigers and sparkling narwhals out of deep rich soil. Help me to see where you've placed me today. Have you called me to say yes to a scary void? Have you called me to let go of what I cling to most dearly? Help me see that as I let go and tumble into the void, I fall into your open arms. Have you called me to cry and mourn as an act of creation? To weep with those who weep? And in my tears, to finally see what in the world I was really weeping for. And then to make that thing a reality. Or have you already set me off on a path of imagining - yours and mine, God? Help me savour the sweetness of sensing I'm in the place I should be. And pepper my horizons with rainbows, to keep me reassured. And keep me travelling. Help us all keep imagining in the power of your Spirit. And help us to take our place in your creation story.